An onsite survey on 520 young people aged 20 – 39 found that the average intended parity was 1.41, less than the ideal parity of 1.84. Although only 5.8% of respondents indicated an ideal family size should be childless, near one in five (18.5%) intended to be childless in the future. The major reasons of the surveyed youth to give birth were “the desire for a complete family” (71.1%), “the enhancement in family life” (68.5%) and “the love of kids” (66.8%). 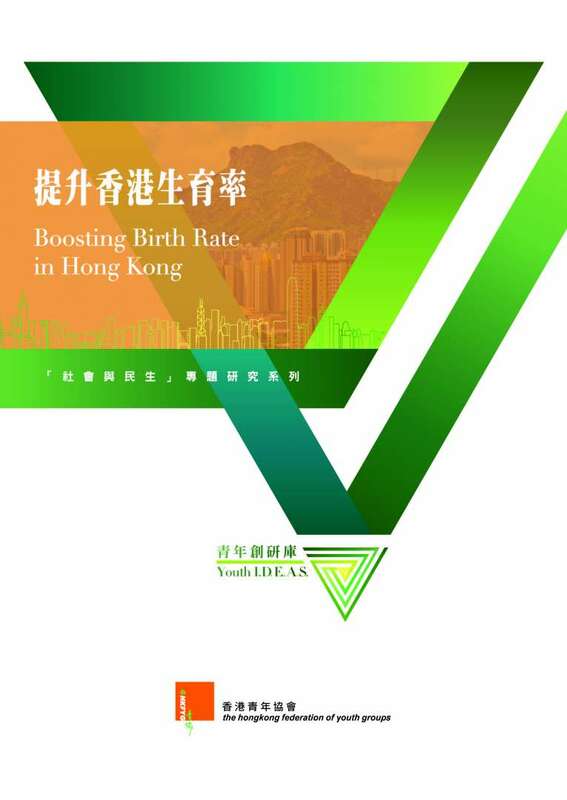 However, “financial burden of having children” (71.4%), “upbringing of children is a huge responsibility” (59.3%) and “housing problems in Hong Kong” (54.9%) were the reasons of not having children. Amongst recommendations were a childbirth allowance, an increase of Child Care Centre, extending maternity and paternity leave, a legalized breastfeeding workplace and a paid parental leave.